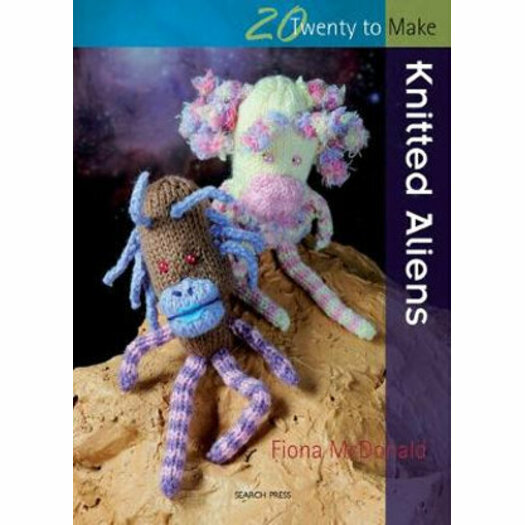 From the far corners of the galaxy, this interplanetary reference delivers 20 brilliant, knitted alien designs. Perfect as gifts for children and adults or simply as conversation pieces, these adorable extraterrestrials are outlined with full knitting patterns and explained through simple and clear instructions. The finished aliens are shown in beautifully styled photographs, accompanied by additional notes. Conveniently sized and perfect for being stowed away in knitting bags, this entertaining handbook provides a variety of unique gifts or stocking fillers, guaranteed to inspire knitters of all levels to develop their own imaginative creations.